Drinking a cup of warm milk with a pinch of turmeric powder before bed keeps sore throat away. Application of menthol on temples can tame the tension headaches. 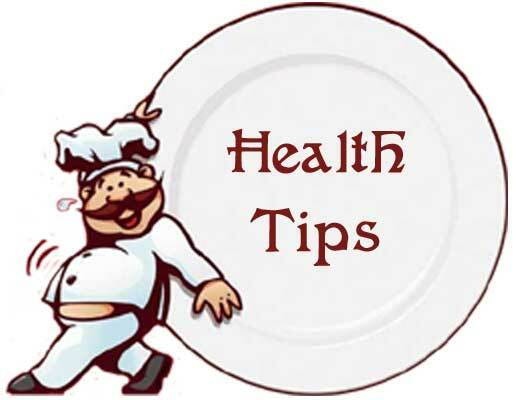 1 tablespoon of apple cider vinegar in one 1 cup of water before each meal helps in dissolving kidney stones. Cucumber promotes digestion, reduces cholesterol and helps weight reduction. Keep a gap of 2 hours between dinner and sleep to prevent indigestion. Reduce your blood sugar and cholesterol levels. Add garlic to your daily food. A healthy diet should include a good variety of nutritious foods. These include breads, pastas, fruits and vegetables. Eating breakfast is also an important part of a healthy diet. Keep fat and salt intake low and eat foods rich in calcium and iron. A good balance between exercise and food intake is important to maintain a healthy body weight. Eating with other people has numerous social and emotional benefits—particularly for children—and allows you to model healthy eating habits. Eating in front of the TV or computer often leads to mindless overeating. Chew your food slowly, savoring every bite. Ask yourself if you are really hungry, or have a glass of water to see if you are thirsty instead of hungry. During a meal, stop eating before you feel full. A healthy breakfast can jumpstart your metabolism, and eating small, healthy meals throughout the day (rather than the standard three large meals) keeps your energy up and your metabolism going.